Karkonosze Mountains offers beautiful scenery, hiking and cycling trails, therapeutic microclimate. 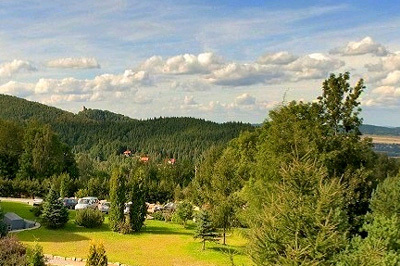 It is in this area, halfway between Karpacz and Szklarska Poreba, in peace and quiet charming hotel is situated Concordia. 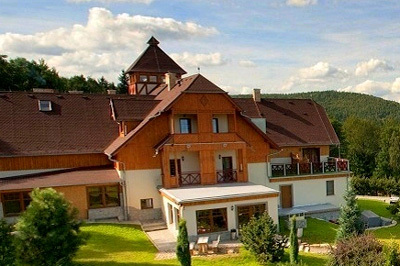 The hotel is situated at an altitude of 600m above sea-level on top of Mount Przesieckiej, which creates a natural base for lovers of trekking in the Karkonosze Mountains, mountain biking enthusiasts, cross country skiing. Guests will admire the beautiful views of the spectacular views of the spa Teplice, JeleniogĂłrska Valley, Chojnik castle, Snow White and Karpacz. The hotel was reopened in 2010 after thorough reconstruction, which provides guests with more comfort and a relaxing stay. Guests will spend your stay in spacious suites - one or two of peace. with bathrooms, satellite TV, internet, terraces or balconies and kitchenettes. In the apartments there is a possibility of extra bed. Furthermore, the hotel offers guests 4 luxurious cabins accommodation, 2-4 persons, 1-room, with bathroom, fully equipped kitchen, satellite TV, central heating and a fireplace! 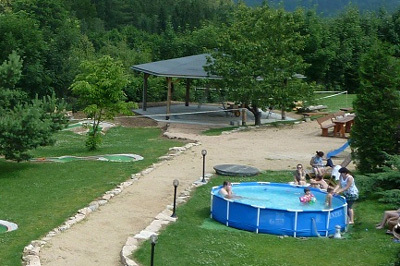 The hotel has a restaurant, an atmospheric bar, a small fitness center with saunas, playground and children's playground, rock amphitheater with a grill and barbecue, and two conference rooms. In the morning the guests eat breakfast in a buffet. The restaurant also offers a delicious and hearty lunches / dinners that are served in a very convenient hours from 12 to 22 This means that guests can visit the city without the stress and manage to come back for dinner. While enjoying a meal your guests will enjoy the beautiful view from its windows up and lock Chojnik. 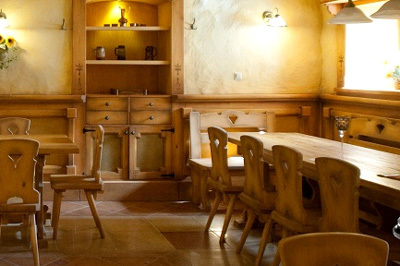 Guests with special dietary requirements can order completely personalized diet. 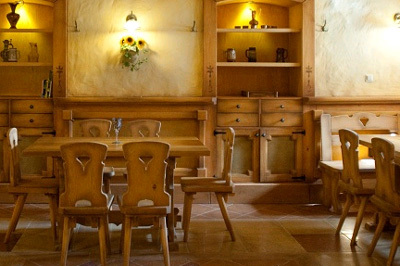 Leisure guests can spend a romantic warmth of a heated bar of the old tile stove. For entertainment there is also an elegant guest room with a professional billiards, 9-foot, English table, Guests can also relax in the small spa with Finnish and infrared saunas, fitness Salk. 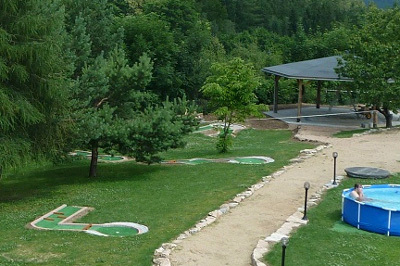 Located in a large garden, rock-mini-amphitheater with a focally-grill provides a great place for outdoor events. The hotel is friendly for families with children, which prepared a playground, playground, board games, table football, to watch cartoons on TV and a great Xbox game console. There is a car in the hotel car park free of charge. Guests who like active holidays in the mountains and hiking and biking in the hotel can rent poles for Nordic walking and bicycles. A beautiful garden invites you to relax in the fresh air, romantic walks. The garden can also play mini golf. Friendly, helpful and always helpful hotel staff will make your stay an unforgettable experience. The hotel is located in PodgĂłrzyn, near Szklarska Poreba.